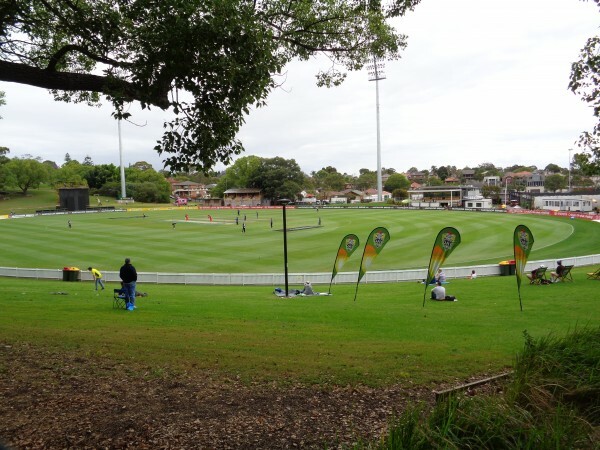 With the end of the ever popular Matador Cup (we’re pretty sure some TV audiences may have even ventured into triple figures), it’s as good a time as any to sit back and look at the state of the Australian ODI team. With the World Cup in the bag, now is normally the time when it starts dropping behind the eight ball, giving other sides (i.e. England) brief delusions of grandeur, before somehow managing to find a new winning combination six months out from the next World Cup. Well, that’s usually how it works out anyway. Unless they decide to try and get Cameron White involved again that is. 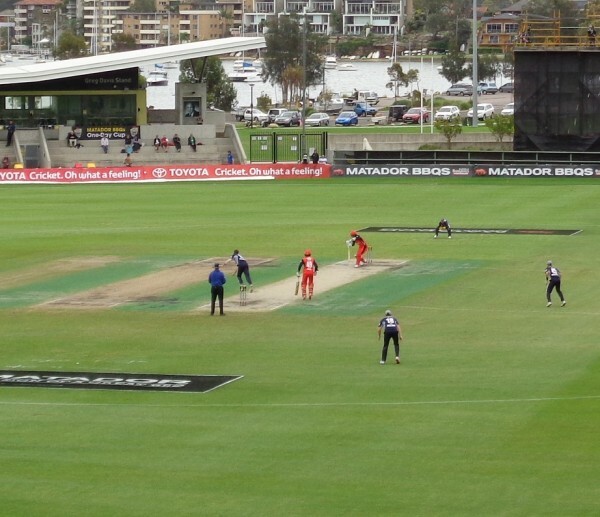 The Matador Cup. Where the sponsor’s flags outnumber the spectators. The Matador Cup was, despite almost zero recognition from a media more interested in chronicling Jarryd Hayne’s every bowel movement, a pretty interesting affair. The involvement of Australia’s international players in a domestic competition for the first time since Bradman’s era (probably) meant that a fairly high standard was ensured throughout. Except usually where the Cricket Australia XI was involved. If not for the hilarious rubbishness of Tasmania, that particular experiment would have gone down as the worst since the Australian selectors decided George Bailey might make a good Test number 5. Although it might have worked better if the team had actually contained the best young players in the country, instead of them being whisked away by jealous states who had no intention of playing them unless in token dead rubbers. Yeah, we’re looking at you West Australia and Jhye Richardson. And so with no further rambling, here is our current Australian ODI ladder. For his own sake we’ve decided not to include Pat Cummins. Someone with a body that fragile has no business being anywhere near ladders. Steven Peter Devereux Smith: Number one on both our Test and ODI ladders. He’d be number one on our T20 ladder too if we could be bothered doing one. Which we can’t. Mitchell Starc: Took 26 wickets in the Matador Cup at a strike rate of approximately 2. ‘Nuff said. David Warner: Still seems to flatter to deceive in the format, but he can usually be relied upon to provide a solid start at the top of the order. Glenn Maxwell: Still not much of a Test cricketer, he is at least firmly at home in the 50 over side. Even a pretty rubbish Matador Cup campaign won’t have hurt his position. James Faulkner: The England series showed his contributions are invaluable. Especially if Marcus Stoinis is the alternative. Aaron Finch: Had a shocking Matador Cup (112 runs from 7 innings), but that won’t count too much against him. George Bailey: Had an equally bad tournament (122 runs from 6 innings), but is far less sure of his place than Finch. Still clings onto his position. For now. Matt Wade: Easily now the number one ‘keeper in the country in the short form of the game, despite being only its third or fourth best wicketkeeper. Mitchell Johnson: Only played the two games in the competition but looked pretty good in his second outing, where he took five wickets. Will likely be used somewhat sparingly from here on in. Josh Hazelwood: Only played the three matches after coming back from a mysterious ‘niggling’ injury. An economy rate below 3 indicated why he is currently the third choice quick, ahead of all the other fast bowling options out there. Mitchell Marsh: Currently doing just enough to ensure his selection in the first XI, although a continuing lack of runs in the tournament (119 in 6 innings) suggests he is on shaky ground. John Hastings: Sneaks in as 12th man ahead of Watson because he actually contributes something. Probably a better option than Mitch Marsh at the moment in truth. Shane Watson: Did bugger all in the Matador Cup, then got injured. Business as usual then. Shaun Marsh: One of the best performing batsmen in the competition, hard to tell if the selectors are interested in him anymore though after he was dropped for the England tour. Joe Burns: Eh. A couple of golden ducks were evened out somewhat by three half centuries. Even Shaun Marsh would be proud of that sort of inconsistency. James Pattinson: Also somewhat hit and miss, his lack of consistency will mean he will have to wait for one of those ahead of him to get injured. During which time he’ll likely break down himself. Pattinson in one of those rare ‘in-between injuries’ moments. Ashton Agar: Admittedly didn’t do a hell of a lot in the tournament, but a few cameos here and there will keep him in the selectors’ sights. Usman Khawaja: Injured for most of the tournament, returned to score one half century in three games. But it was a really stylish half century. Nic Maddinson: Had a good tournament with two centuries. Threw some promising starts away however after getting a wee bit carried away. Likely to be given a run soon though. Cameron Bancroft: Smashed 176 runs in one game, but only passed fifty again once. Finch shouldn’t be too worried about his place just yet. Moises Henriques: For reasons we’d be hard pressed to explain if pushed, we just really like Moises. Deserves more of an opportunity than he’s had so far. Kane Richardson: Had a good tournament. Will be used on rotation for those games when Johnson is injured/at the beach/getting a new tattoo. Jon Holland: Something of a breakthrough tournament, but it’s hard to see where a left arm tweaker fits in really. Is keeping Steve O’Keefe at bay at the moment though. Adam Zampa: Not quite as strong a showing, but as a legspinner has more of a chance of being given a run in the near future. Marcus Stoinis: Was having an utterly rubbish tournament, till out of nowhere he smashed a century against Tasmania to drag Victoria into the elimination final. A seriously bewildering player. Tim Paine: We’re just going to assume he is the second best limited overs ‘keeper in the country. Buggered if we know if it’s true or not though. Nathan Coulter-Nile: Returned from a hamstring injury, played a few games, got injured again. Such is life. Gurinder Sandhu: Seems to have dropped away a little, and was unable to retain his place in the NSW lineup when both Starc and Hazlewood played. Which surprised us as we rate him higher than Sean Abbott. Chris Lynn: Didn’t feature at all in the Matador Cup because of injury. Whether he has now fallen down the pecking order, behind the likes of Callum Ferguson, Nathan Reardon, Peter Handscomb etc, remains to be seen. Honestly, we hope not. He’s better than all those losers. Ed Cowan: We love you Ed.